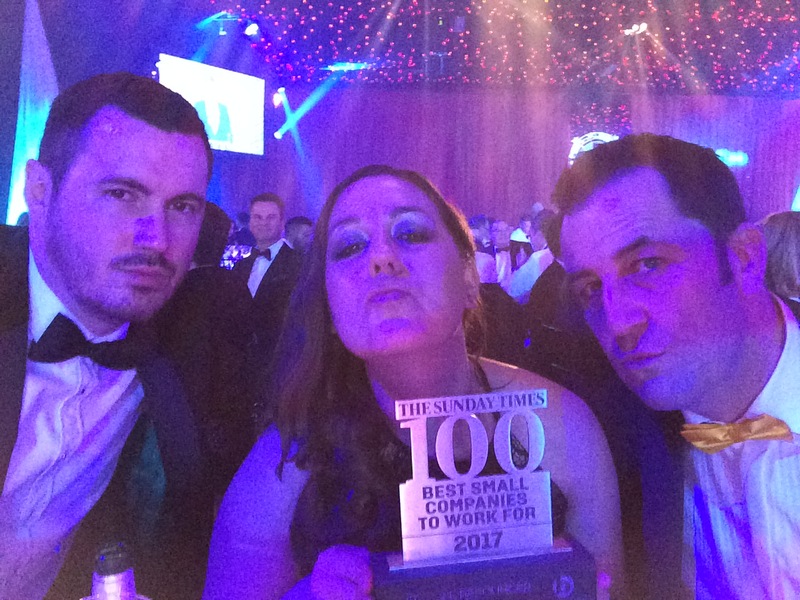 Whitehall Resources in the Sunday Times Top 100 Best Small Companies to Work For! Big news – we placed 39th in the Sunday Times Top 100 Best Small Companies to Work For! We were invited down to the awards ceremony at Battersea Evolution but had no idea what the results would be. We are very proud to say we are now the 39th best small company to work for in the UK! Last year we took part in the Best Companies survey, which asked employees to rate their feelings on the company, their team, the leadership, their manager, their training and opportunities here, their well being, their pay and rewards, and how Whitehall works with charity and the local community. After the anonymous results were analysed, we have received the highest possible award of “3 Stars, Extraordinary”. What makes this award so special, is that it everyone at Whitehall Resources has played a part in making this a great company. We put a huge amount of investment into not only rewarding our teams but really working to make this an extraordinary place to work. Want to see why this is a great place to work? We’re hiring!